What should you do in Vienna? So you checked in at the hotel, cursed gently for forgetting the travel adapter and debated the morality of packing up the free shampoo on the first day. What to do now? What should I do at Christmas? Where can I get the best city views? How can I see a concert? What events do you recommend? A capital city and top tourist destination can’t survive on nice buildings alone. So there’s no shortage of modern and classical entertainment to keep locals and visitors alike entertained. Local event listings will give you dozens of daily activities in the world of music, art, theatre and more. For a look at the more prominent events for visitors in the Viennese calendar, browse this monthly overview. Tip: during busy periods of the year, there’s often some event or another going on at the Rathausplatz – worth checking out as it’s next to various sights along the Ring anyway. Start here for a detailed guide to the city’s sights. 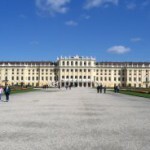 Aside from the museums, the most popular sights are probably Schönbrunn palace, the zoo, Stephansdom cathedral (easily found in the middle) and Hundertwasserhaus. If you’re planning to visit Vienna in late November or December, you made a good choice. The city looks glorious in the snow (if we have any). 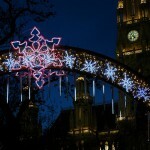 Here’s an overview of advent activities, as well as detailed reviews of the Christmas markets. Open-air markets are also a big theme during the Viennese Easter. 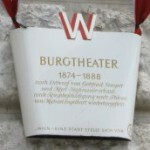 Vienna has three main opera houses, numerous classical music venues, several theatres, various cinemas showing films in the original English, and countless other venues to keep you entertained. Most visitors aren’t here for the sport, but if you want to watch the footy down the pub, try these suggestions, and you’ll find a couple of ice skating ideas here.